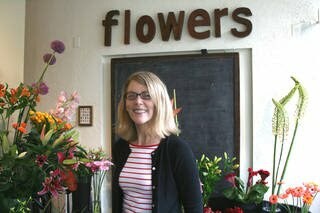 For years I have been buying my flowers from one very special place. From the first time I opened the elaborate metal gate and went inside the lofty space in Pioneer Square, I knew-this is my translator. I adore flowers. I would go so far as to boast that I love them more than most women. More than any other single thing, flowers have the ability to brighten your day in the space of a moment. Megan has such an eye for texture, color, shape and composition that turns the void of a vase into something whimsical, ethereal, darling or romantic. Sometimes all these things at once! Now it is with great glee that I can once again walk through her door to wander amidst the flowers while she prepares my weekly bouquet-she has moved to be a block away from my shop here at LiT!